Opera became the first major web browser to come with a built-in ad blocker last month. Now, the company has introduced another baked-in feature that’s usually found in the form of an extension: a VPN. 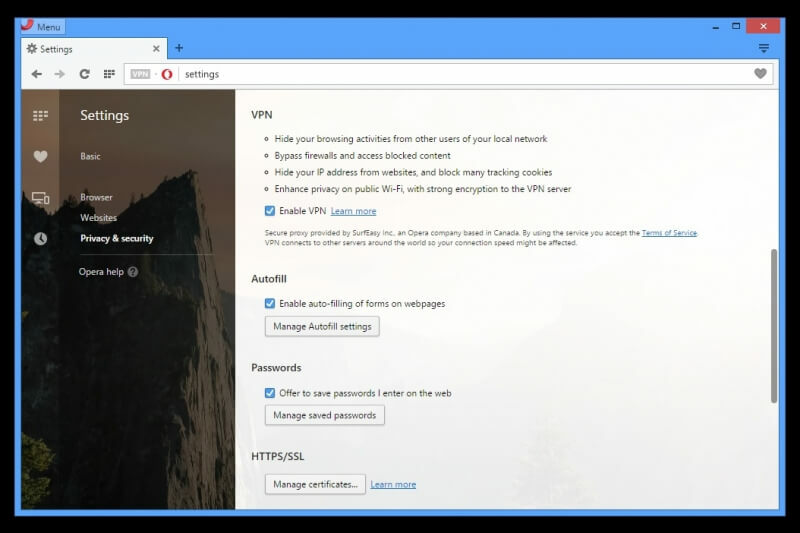 The virtual private network feature arrives after Opera’s acquisition of VPN service SurfEasy in March last year. 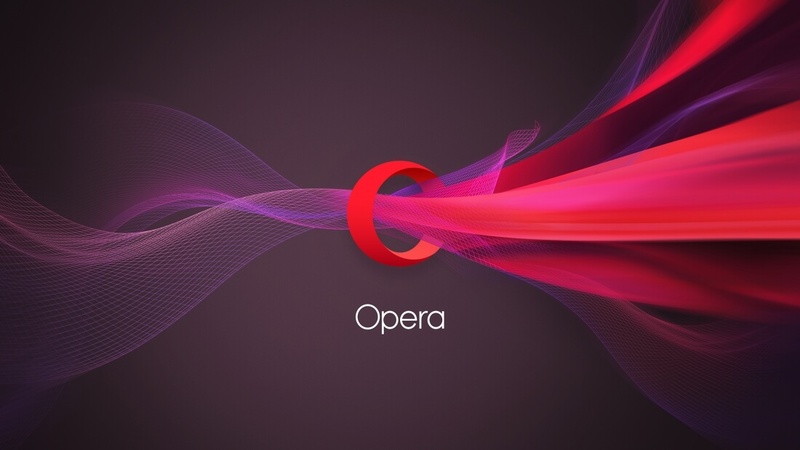 At the moment, it’s limited to the developer version of the desktop browser, and users are only able to choose from three “virtual locations” – the US, Canada, or Germany – but soon Opera will make more locations available in the stable version. Download: Opera 38 Developer Edition for Windows, Mac, Linux. “Everyone deserves to be private online if they want to be. By adding a free, unlimited VPN directly into the browser, no additional download or extensions from an unknown third-party provider are necessary. So, today, our Opera desktop users get a handy way to boost their online privacy, as well as easier access to all their favorite online content, no matter where they are,” says Krystian Kolondra, SVP, Engineering and Head of Opera for computers. 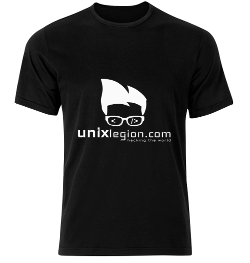 The feature offers a 256-bit encrypted connection and doesn’t set any data limits – a paid-for feature in most popular VPN services. Enabling the browser’s virtual private network will bring up a little padlock in the URL field that will let you change your location, check whether your IP is exposed and review how much data you have consumed through the VPN servers. Having a free, built-in VPN that offers the same functions as most paid services, such as hiding an IP address, unblocking firewalls/websites, and offering public Wi-Fi security, will likely draw more users to Opera, and could see the browser's 2 percent market share start to increase. “There is definitely huge demand from users for VPNs, so that they can browse privately and access online content no matter where they are in the world. 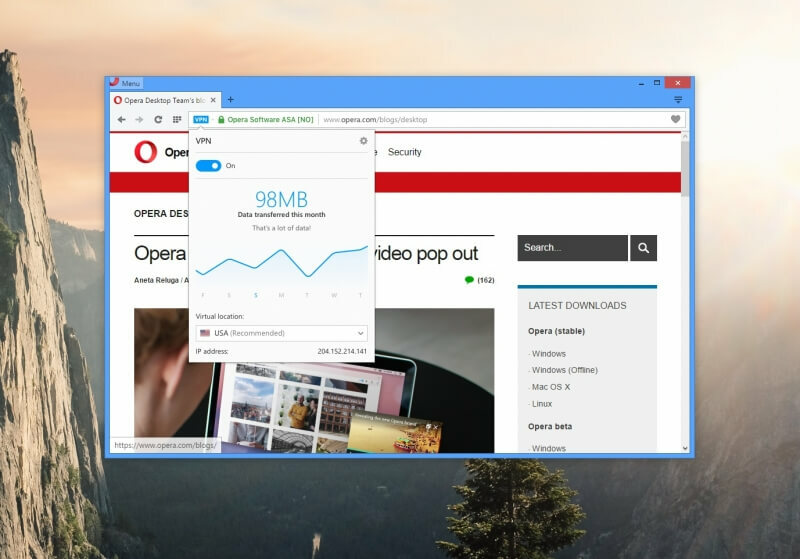 VPN in Opera is the first VPN option integrated into a major browser. It doesn’t require any payments, nor subscriptions, and doesn't set any limits for your VPN-enabled browsing. Also, it’s delivered from a company you can trust. 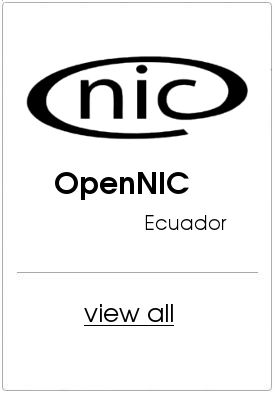 Not all VPN products are delivered by a company with an extensive history in providing reliable and trustworthy internet products,” said Krystian.